Its appeal is seen and felt in the little whitewashed fishermen’s cottages that line the coast and the rugged cliff faces that tumble to some of the loveliest beaches in the Western Cape. From the shores or out at sea, the marine life is a delight to experience. Large pods of dolphins surf the waves and leap playfully from the waters all year round, while whales can be seen in the latter half of the year. Southern rights, humpbacks and orcas leap or peep inquisitively out of the water, entertaining their onlookers. The local seal and penguin colonies are also exciting to see, and amusing to watch as they go about their daily lives with some adorable antics. The extensive coastline makes Paternoster a hotspot for water sports like deep-sea fishing, kitesurfing, hydrofoiling, SCUBA diving, snorkelling, and kayaking. However, the waters of the Atlantic are chilly, and those braving them need to come prepared. This is also a fantastic spot for bird watching and is home to hundreds of different species, including marine varieties. 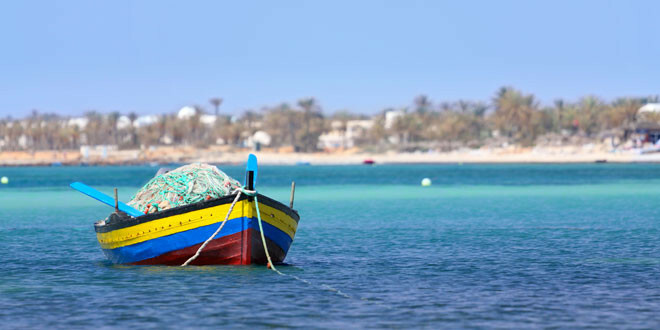 Paternoster has been one of South Africa’s most significant fishing areas for generations. It has gained the most acclaim for its abundant crayfish (similar to lobster), and the historical white cottages that are home to local fishermen are iconic of the region. These give the entire village a romantic air of nostalgia. Today, Paternoster has an area of only 2.5 square kilometres and is home to around 2 000 people. However, it is frequently visited by watersports enthusiasts and those wanting a peaceful fishing retreat that promises very rewarding catches. The Lisboa is a wreck on Soldiers Reef, left when the ship saw its demise in October 1910. In fact, this part of the South African coastline has a number of shipwrecks, making for fascinating finds on a dive. Cape Columbine is the last manned (manually controlled) lighthouse that was ever built in South Africa, and tells an intriguing story of the West Coast of yesteryear. Since its beam is visible from about 50 kilometres away, this is often the first lighthouse seen by ships that hail from Europe or the Americas. The wild flowers that erupt into spectacular bloom every spring are a wonder to see first-hand as they blanket the West Coast countryside. This display, informally known as the Namaqualand Daisies, is an irresistible attraction for international and local tourists alike. Paternoster is a simple village with an uncomplicated way of life; a serene ambience that is, quite simply, heaven for travellers needing a retreat.